Audi C6 S6 Style Wheels will transform your Audi or VW's stance and appearance. Please note that the C6 S6 Style Wheels are sold individually. Give your vehicle a unique appearance upgrade by adding a set of C6 S6 Style Wheels. 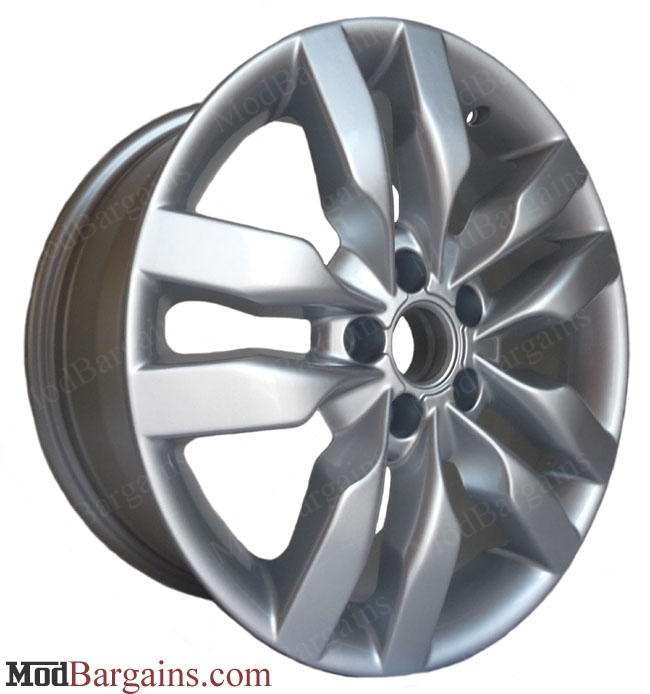 The wheels feature a timeless silver finish that will look classy on any vehicle. The C6 S6 Style Wheels are available in 17" non-staggered, and 18" non-staggered, fitments. These wheels have a layer of clear coat applied to them after being painted and polished; as a result, the wheels are easier to clean, the shine is preserved, and they're protected from brake dust. You may use any automotive soap to effectively clean these wheels, as well as adding a thin layer of wax to enhance the shine. Please feel free to contact us at anytime if you have any questions in regards to the size/fitment and quality of these wheels! Please note that overly lowering (also known as "slamming") your vehicle may cause rubbing. A decent drop in ride height will still be safe. 17x7.5 +45 5x112 57.1 Silver 22 Lbs. 18x8.0 +45 5x112 57.1 Silver 24 Lbs. 18x8.0 +45 5x112 66.6 Silver 24 Lbs. 5. We offer one of the lowest prices on the C6 S6 Style Wheels.